Many outside observers have trouble understanding that cities are constantly evolving and changing. When a stranger visits a city, it can seem entirely built out, and for want of a better word, finished. That's because people who live in suburbia or exurbia understand development as a shift from nature to structures. In the city, it's more like a shift from one type of structure to another. However, not all development involves a shift to concrete and pavement. In many cases, urban landscape design techniques increase the amount of green space in the city while accommodating increased population. Smart cities use urban planning to encourage better livability while accommodating growth. For decades, urban renewal went hand in hand with an increase in highways. Older neighborhoods in cities like Boston were bulldozed in their entirety to make room for roadways or public works projects. Other cities like San Francisco saw neighborhoods cut off from one another as highways chopped up the landscape. The car is no longer king in many large urban centers. Urban planners have been enthusiastic about dismantling neighborhood-killing highways and elevated roads, and replacing them with better public transport and clever urban landscape design. This has many interrelated beneficial effects. Decreasing automobile traffic while increasing green space in urban areas reduces air pollution and noise. As a secondary benefit, establishing urban oases for citizens makes them less likely to travel outside the city to find green space. This cuts down on automobile traffic even further. Designing cities around roadways put pressure on planners to house families displaced by urban renewal. This resulted in warehousing low-income residents in high-rise towers. This led to substandard living conditions, isolation, and urban decay. Public housing, and private housing developments with affordable price tags, are now almost always configured as low-rise or mid-rise dwellings. For most cities, choosing between low and mid rise developments is simply a matter of population density. Low rise dwellings have more light, more open space, and allow their residents to feel a closer connection to the areas around their homes. Smart urban landscape design fills in the gaps and attracts more apartment dwellers to venture outdoors. 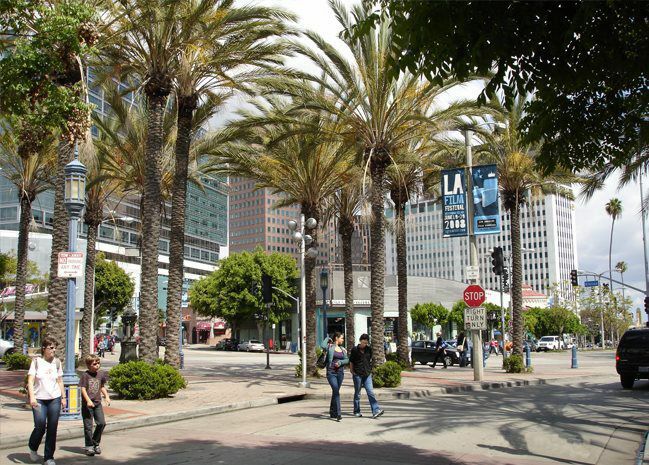 More foot traffic decreases crime while increasing livability overall. For cities that just don't have the space to incorporate low rise neighborhoods, mid rise dwellings are a good compromise. They can house a lot of families, but don't take over the landscape like high rise buildings do. Development in cities has never occurred in a vacuum. There's a great deal of planning and permitting that goes into even modest projects. Big developments like skyscrapers get even more attention. City planners are rethinking if all that attention is coming from the right people. Huge building projects affect more than just the people who live in them. Cities are allowing much more input from regular citizens and local businesses before allowing big projects to go ahead. Increased input about potential drawbacks allows planners to decide if huge building will "earn their keep" with the city as a whole. Many times, approvals come with strings like improved transit hubs and an increase in open space. For a lot of cities, the open space is designated as green space. This can ameliorate problem with massively scaled projects by letting urban landscape design techniques to improve the surrounding neighborhood. In the past, planning for commercial and residential projects and planning for unusual weather events and natural disasters was handled in separate silos. Flooding, earthquakes, droughts, and heatwaves were expected to be handled by public works projects by the Army Corps of Engineers, and buildings by their respective developers. That's changing. City planners are demanding regional plans that handle natural disasters using resilient designs. Urban landscape design is using increased amounts of contiguous green space to handle flooding, for instance, instead of relying on levees and similar structures to act as a fortress around the city. Some areas in built-up areas are being returned to nature entirely, especially along seacoasts and riverways, in order to reap the benefits that natural landscaping offers. All these planning trends are the result of trial and error over decades. New trends are bound to develop as cutting edge techniques in planning and building are tried and seen to work. The pace of experimentation in urban planning and urban landscape design is accelerating as more people move to the cities. That makes it likely that our list of urban planning trends is bound to grow longer with each passing year.